SIX INDUSTRIAL UNITS RANGING FROM 71 SQ.M /761 SQ.FT – 372 SQ.M/4,006 SQ.FT. 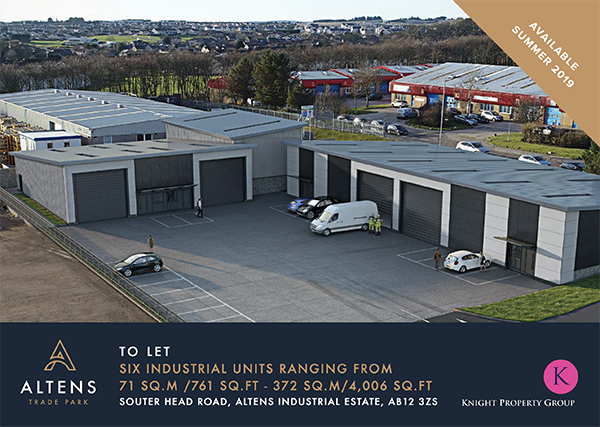 Altens Trade Park is a new build industrial development located in a prominent position on Souter Head Road in the heart of Altens, Aberdeen’s premier industrial location to the southside of Aberdeen. Aberdeen harbour is less than 2 miles North and the development benefits from excellent access onto the new Aberdeen Western Peripheral Route (AWPR).Occupiers in close proximity include: Shell, Weatherford, Wood Group, Maersk and Odfjell. 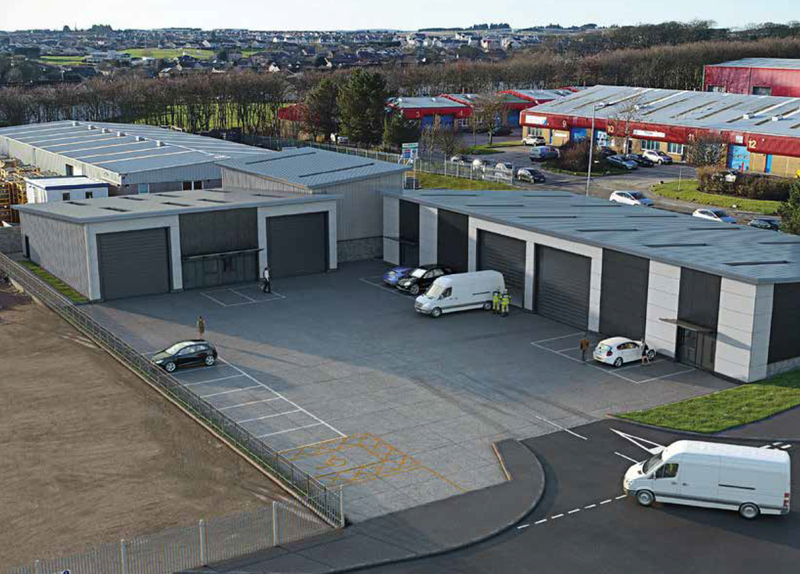 The development comprises a number of new build industrial units which provide high quality industrial accommodation. The properties will be suitable for a number of uses including trade counter, storage and for those companies operating in the oil and gas sector.Each unit will benefit from designated car parking.  To discuss how Knight Property Group can accommodate you at Altens Trade Park, or to discuss the terms in further detail, please contact our letting agents by clicking on the logo below to email them.